Having difficulties looking for Stauff tube clean systems? We can help you because we have all sizes. Tube Cleaning Systems is essential to remove any loose contaminants from the end of the hose, tube or pipe. 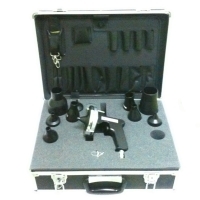 We carry SC-10UV-K, Stauff Launcher kit (Pneumatic Cleaning Gun) complete with set of 10 universal nozzles.